Your family includes people of all different ages with different dental needs. That’s why so many parents spend too much of their time throughout the year traveling from one practice to another so every person gets the treatment they need. At Times Square Dental, we’re a family dental practice where everyone can be treated under one roof. 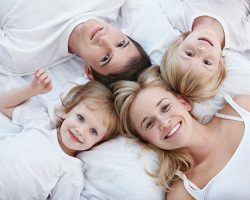 Could you benefit from family dentistry? Answer a few questions to see! Make your family’s dental care more convenient. Call our Boise, ID dental office today at 208-278-1069 fill out our convenient online form to schedule an appointment.